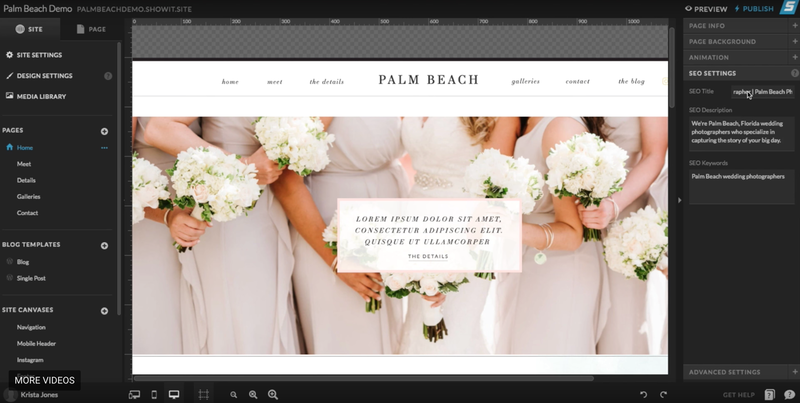 THE DRAG-AND-DROP, NO CODE WEBSITE BUILDER FOR PHOTOGRAPHERS AND CREATIVE PROFESSIONALS. Everything you need to know about the Showit platform from tutorials to explanations to FAQs and more. Yeah you could spend countless hours perusing the internet trying to piece together the info you need to build, launch and optimize your Showit website. Or you could find everything you need here. 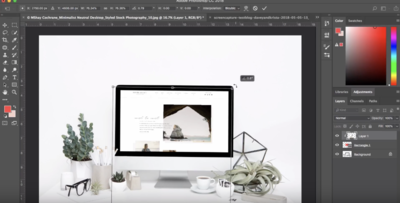 Learn how to customize your website so that it looks exactly how you want it to look. Ready to launch? Check out our Showit Launch Guide and these videos before you do. Don't see what you're looking for? Request a Tutorial VIDEO! New to the Showit Platform? 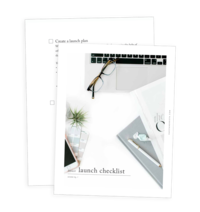 See the entire process from creating an account through launching your website in just 5-minutes. Learn about pages, canvases, creating shapes, text boxes, color palettes and all of the basic tools of Showit. 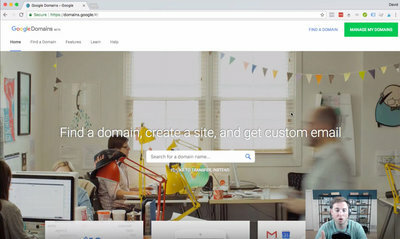 A quick tutorial demonstrating how to register a domain name using Google Domains. Launching a new website is a lot of work. 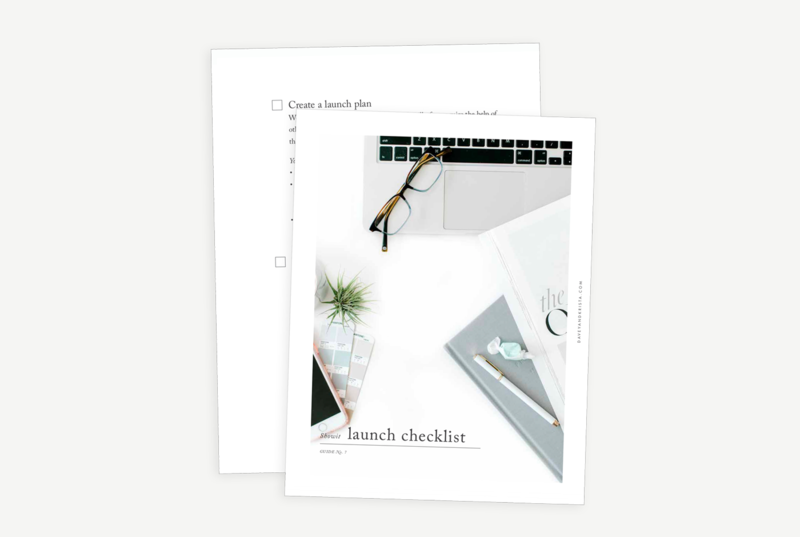 Stay organized and make the most of your launch using this checklist. New to WordPress? 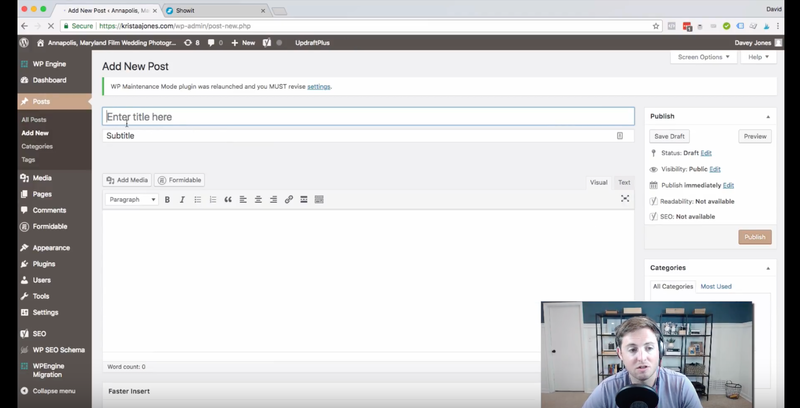 This video will walk you through the basic structure, creating blog posts and more. 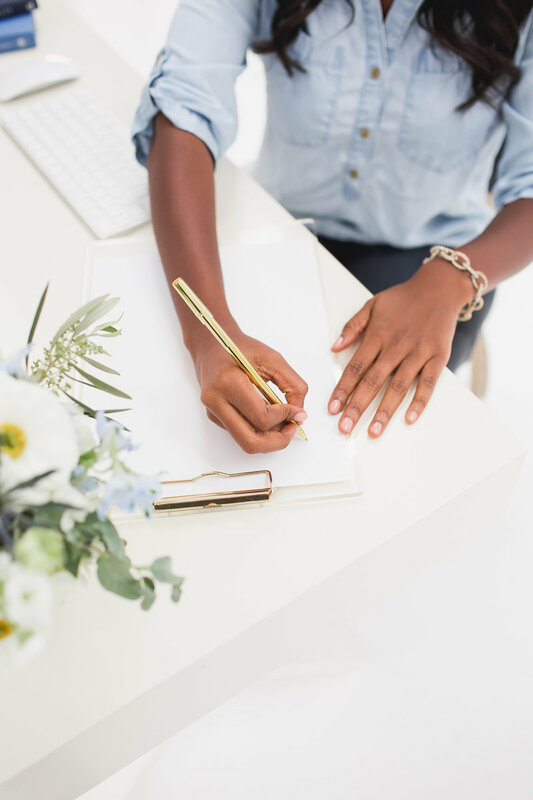 How to make sure your work looks great and gets seen by visitors on your website. How to use Showit5's SEO Settings to add an SEO Title, SEO Description, and meta-keyword. 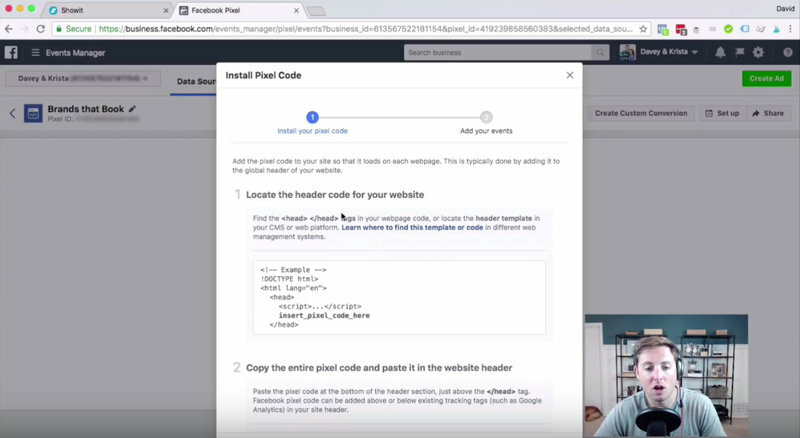 Use Facebook Business Manager to generate a Facebook pixel and embed it on your Showit website for tracking. Set up Google Analytics for easy tracking. Contact pages get no love, but it’s one of the most important pages on your website. Your website is a blank canvas, and you’re able to add elements and features nearly anywhere you want them to appear. And you can add videos or other dynamic elements to your website, too. The backend of Showit has a similar feel to the Adobe Suite, so it’s easy to get the hang of it (especially if you’re a photographer!). It’s more important than ever that websites are mobile friendly and Showit enables you to create an awesome looking mobile website. And the best part? The mobile view is built into the designer. You can switch between mobile and desktop views to see what each looks like as you design. 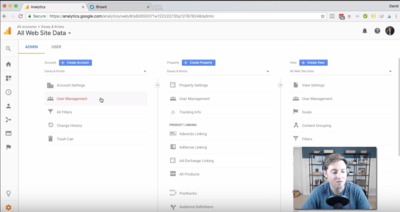 The Showit subscription also provides SEO features so it can be optimized for search engines. Add a custom SEO title or meta-description to each of the pages on your website. The new Showit platform is html5, which is an upgrade from old Showit Flash sites. The Showit website builder makes it easy to change colors, fonts, images, sizes, and placement of objects. Even if someone else designed your site, you probably won’t need their help to make most updates. WordPress is one of the most powerful content managements systems out there, and it’s now integrated with Showit websites. Designs flow seamlessly between your Showit pages and WordPress blog—plus, everything can live on the same URL. There’s no need for ProPhoto or any additional software to make it work. Showit can be used by anyone who needs a website, but it was specifically created with creative professionals in mind. The backend of Showit looks like the Adobe Suite, and many of the features were added based on feedback from their creative community. The Showit team listens carefully to the feedback its community provides, and it seems like they roll out with features every month. It’s a great platform now—and it’s only going to get better. Do the templates in The Palm Shop only work with Showit? What do I get when I purchase a template from The Palm Shop? Do I need to know how to link my domain name & website? How do I migrate my old blog to my new blog? Do I need to purchase hosting in addition to my Showit subscription? Is it truly easy to update your website? Do I need to know any code? Can I embed my contact form from Dubsado or 17Hats, etc.? What if I want a custom website? What if I want someone to customize a website from The Palm Shop? We update this list based on the questions we receive. If you have a question and don’t see it answered here, feel free to email us at support@daveyandkrista.com. 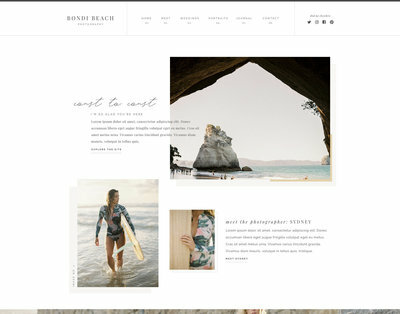 Yes, these website templates are designed specifically for the Showit platform (which includes a built-in WordPress blog). You’ll receive everything you need to publish your new site—fonts, graphics, color palettes, etc. We’ll send you an email immediately after your purchase with directions for installing your template. And you’ll also get access to a series of videos explaining how to make updates to your site. Submit a request and Showit will move it for you. This process generally takes a few days. Yes, they’ll do it FOR YOU. Awesome, right? Do I need to know how to link my domain name and website? Showit will actually migrate your old blog for you! Even if you’re coming from Squarespace. All you need to do is submit a request—it generally takes about 7 days. No. Choose your Showit subscription and you’re good to go! Showit has SEO features built-in for all Showit users. Additionally, WordPress is generally considered one of the most search engine friendly content management systems. You can check out a tutorial on using the SEO settings in Showit here. Do I need to know any code? As with anything else, it takes a little time to learn. But we think Showit is one of the easiest website builders on the market. 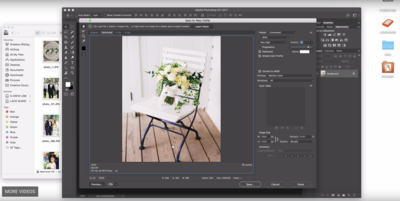 The back-end has a similar feel to Lightroom and the Adobe Suite, so photographers and designers should adjust easily. They also have a good U.S. based support staff that quickly answers questions. We used to exclusively design custom WordPress websites. But since Showit launched their new platform, most of our clients have decided to use Showit because it’s easy to use and powerful enough to do what they need it to do. Oh, and the best part? You don’t need to know any coding language to use Showit. Is it truly easy to update your website? Yes, the Showit has a support team ready to answer your questions and help you along the way. We also provide access to video demos for each of our full templates. We design custom Showit and WordPress websites. If you’re interested in a custom website, please inquire using the contact form on the contact page. We can also be hired to customize any of the templates in The Palm Shop. Showit and Squarespace have their similarities—but one will quickly find there’s more creative control and flexibility in Showit. Additionally, Showit’s integration with WordPress puts it over the top when it comes to comparing Showit and Squarespace. There’s a lot of similarities between Showit and Squarespace. They’re both website builders that also host your website, they each of dedicated customer support staffs, and both have templates available that you can use to get started. But there are also a few key differences. Showit’s website builder is truly drag-and-drop—move text, images, and videos around with ease. 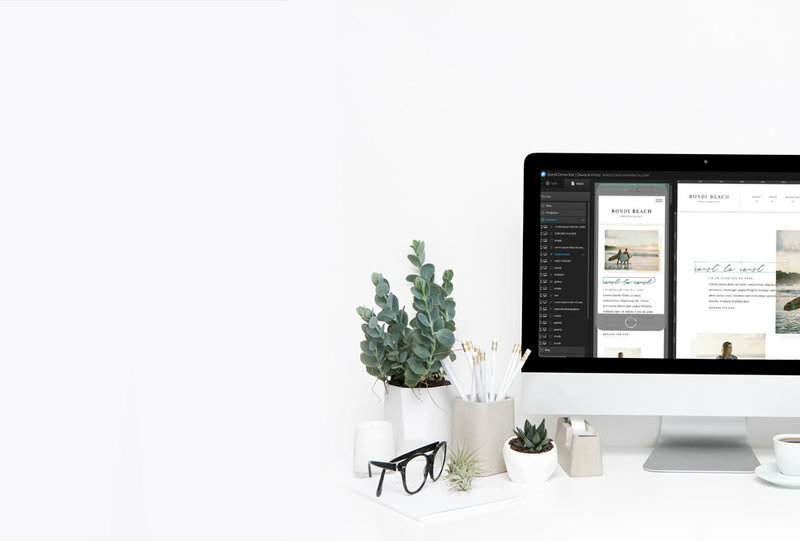 In Squarespace, you’ll be working within modules. They’re relatively easy to use, but don’t provide the same drag-and-drop flexibility. There are also differences in how the mobile version of the website renders. In Squarespace, the mobile version of your website will render based on the desktop version. The advantage is that it looks good immediately—no extra formatting is necessary. In Showit, however, you’ll have to format the mobile version of your website in addition to the desktop version. We think this is actually a positive thing because it gives you more control over how the mobile version works. Although, admittedly, it can get a little tedious. 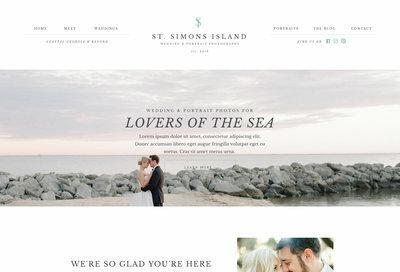 Squarespace does have more built-in ecommerce functionality than Showit. If you have lots of products to sell, Showit is probably not the right platform for you (although, there’s apparently an integration with WooCommerce coming soon). 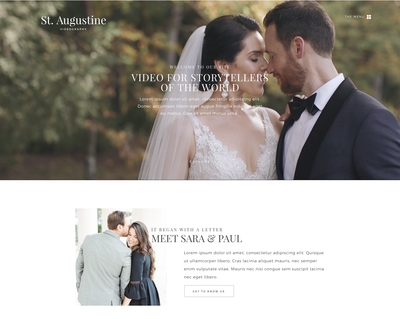 What really separates Showit from Squarespace is its integration with WordPress. 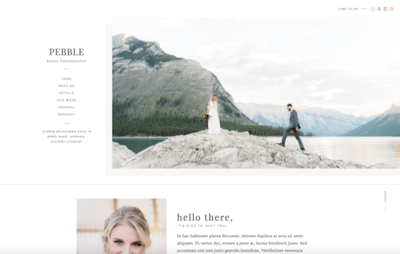 Yes, you can blog with Squarespace. But blogging with WordPress provides so much more freedom and optimization potential. By integrating with WordPress, you can install plugins that add functionality to your website. Not every plugin is compatible with Showit, but plenty are. 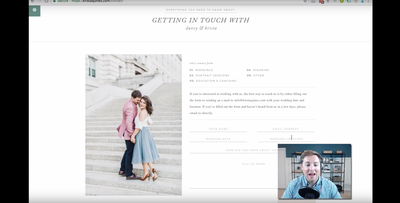 Squarespace is good website platform (that’s why we’re doing this comparison), and I would recommend it over something like Wix in a heartbeat. But we think Showit is better. We recommend Showit over Squarespace in 99% of situations. The exception is for those people who need some ecommerce functionality and refuse to go with Shopify or WordPress (both of which are better ecommerce platforms than Squarespace). The beauty of Showit is that it combines the ease of a drag-and-drop website builder with the power of the WordPress platform. If you’re primarily a service-based business, like a photographer or event planner, the Showit-WordPress combination is probably a great fit for your business. There’s a reason that WordPress is the most used content-management system (CMS) out there. 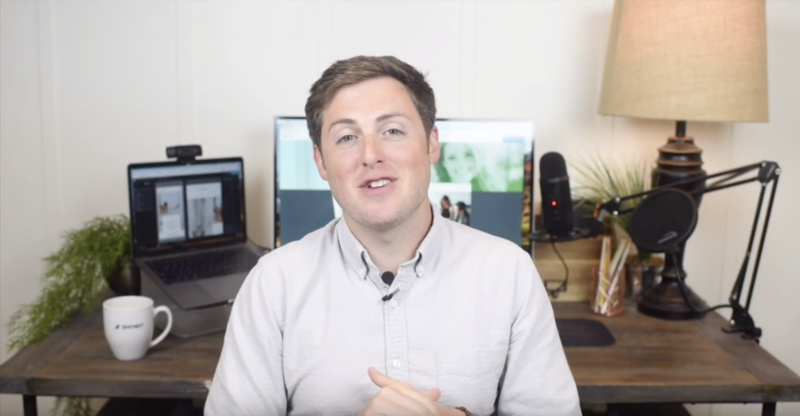 It’s powerful enough to do almost anything you’d want a website to do from basic blogging to selling digital products to managing a membership website to selling online courses to getting you to the moon. Alright, it can’t actually get you to the moon. But the point remains—it’s a powerful and flexible platform. There’s a trade-off, of course. Since WordPress is so powerful, it’s not the most user-friendly CMS nor is it necessarily the easiest to learn. It will generally require a little more maintenance and upkeep than using a website builder like Showit or Squarespace even if you’re using one of the website builders/templates available through WordPress. You’re also able to secure your own hosting for WordPress; whereas, with Showit, they’re the website builder and they manage your hosting (similar to Squarespace). How technically competent you are will determine how much of a benefit it is to secure your own hosting. If you don’t want to worry about it, something like Showit will most likely be fine for you (and remember, it’s also in their best interest to secure quality hosting for your website). But if you want complete control to add all the bells-and-whistles your heart desires, WordPress might be the route for you. When people are trying to choose between WordPress and Showit, we often ask them this question: When something breaks, are you the kind of person who’s willing to dig and figure it out, or do you want to be able to fire an email to customer support? WordPress has a large community and lots of resources available online, but you won’t have a dedicated customer support team. Showit, on the other hand, has a customer support team that you can reach via live chat or email. If you want/need all-the-features and are the kind of person that’s willing to get their technical hands dirty, WordPress might be right for you. If you’re primarily a service-based business that wants something that’s easy-to-use (but still offers much of the power of WordPress) and has a responsive support team, go with Showit. You're two clicks away from the brand of your dreams. Just click the button to learn more about custom brand & website design.